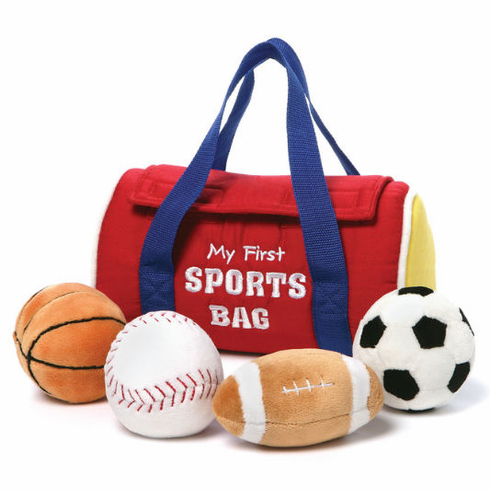 My 1st Sports Bag Playset. This five-piece play set by Baby Gund includes one each of the following items: baseball sound toy, basketball squeak toy, soccer ball crinkle toy, and a football rattle. Perfect gift for your future all-star! Mini bag measures appx. 7.5" long.